Join us for the first event in our George Orwell mini-series, in partnership with Waterstones Gower Street. In celebration of the 80th anniversary of its publication, Stephen Armstrong (author of The Road to Wigan Pier Revisited), Ros-Wynne Jones (writer and founder of The Wigan Pier Project), UCL lecturer Florence Sutcliffe-Braithwaite and chair Max Liu, look back at The Road to Wigan Pier, Orwell’s searing account of working-class life in the bleak industrial heartlands of Yorkshire and Lancashire in 1930s Britain. 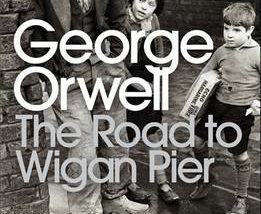 The Road to Wigan Pier was published in March 1937.